The Ancients of Egypt schooled their initiates in the concept that there are two sides to everything. Left brain and right brain attributes are among the many thought patterns being taught our children today. (Could it be that the earliest Egyptians lived and taught near 10,000BC) At an early age they began an educational process that would firmly ground the concept into every initiate. Every thought contained both parameters. There was a positive and negative thought form to any equation. The concept of male orientation and female orientation was part of every situation. We see this in the Sacred Geometries. Approaching a more sensitive awareness directs one to ask the question, “What is outside the Egg?”. First, knowing what is inside the egg might be the better query. Madam Blavatski , speaks of “within….within two other withins”. The idea that Consciousness attains self awareness by going back inside to see what is outside is fundamental in approaching incubation. The Flower of Life Geometries speak metaphorically of how incubation occurs, and suggests what is inside and ultimately outside the Egg. Below you will see the development the egg in cell division. First the Egg divides into two, and then the two divide into four, then the four into eight, represented by the center picture below. At this point, awareness is found by going back inside to see what just happened and to retrieve information about where to go. After retrieval takes place, the cells divide consistently in the original pattern, remembering at the time of the Trinity (Third step in cell division). 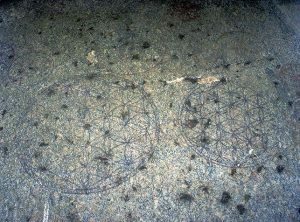 The Eight Original cells is represented in the Seed of Life geometries. Consider a young Egyptian, at the age of ten. With the help of elders, the young one excels quickly in comprehending esoteric Sacred Geometry as well as Temple structure. Consider the axis of the human body. An up-down axis exists from above the head to below the feet. We can feel the axis. 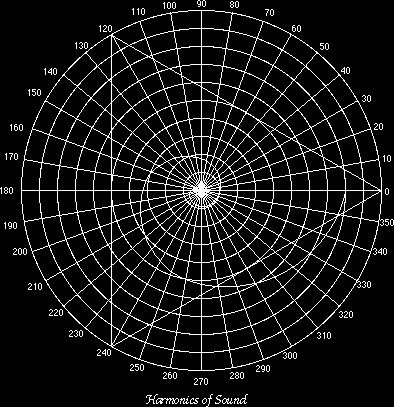 If you close your eyes, you can spin on this axis. Next, consider an axis from front to back, through the solar plexus, measured the same length as the one above. The length is proportional to your body. Close your eyes and feel how the body can spin on this axis, like spinning on a steering wheel. Consider now, an axis that goes from side to side, intersecting the other two lines at the solar plexus. 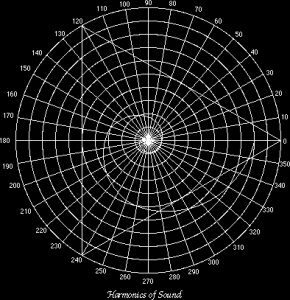 Close your eyes and feel how you can spin on this axis, like the paddle wheel of a boat. See the image as three dimensional. Now that you have all three axis in place, connect the ends together. The outside ends connect to the top and the bottom, and are also connected to each other. The image to the left indicates a view from sides, top, and bottom. It’s called octahedron or, octa, incubation. The Great Pyramid at Giza, to the eye, is half an octa. This exercise requires the use of both sides of your brain. The straight lines are facts (masculine), which require the use of the left brain. Visualizing the axis you use the right or feminine side of your brain. You have to imagine it, using your right brain. In fact, you have ‘seen’ the Lines, and the Axis by combining the properties of both sides of your brain, left, and right. Close your eyes and visualize being inside. You can rotate all three axises. This simple meditative practice allows you the information of how you are actually inside the Geometry. You are the center, and from within, you are able to take the steps necessary to see out. Consider a point of Light energy in the great void of space. Using the combined hemispheres of the brain, spin the three male axises. round and round. you will trace the circumference of a circle/sphere which is feminine, and the first step in the creation of the Seed of Life. The center of the sphere is the original location of first energy (The intersection of the three axises.). In order to create Light, the First Energy reflects itself. This creates a mirror image of the original potential. Go to that place which was newly created. The point that was newly created is the edge of the circle. Spinning the three axis one more time results in the second circle/sphere. 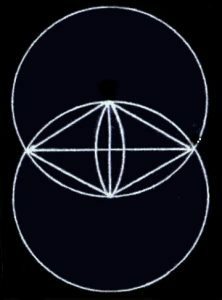 The basic geometry of Light is the vesica pisces. It is created as a result of reflecting and combining balanced energies of the Male and Female principles in Mer. fia’t Lux (first Light) is created by these combining energies. Third step in the Flower of Life Geometries. As amazing as it seems comes three primary flat plane geometries or building blocks of our 3D existence, the perfect triangle, square and pentagon. The fourth step in the Flower of Life is the first step in multiplication. From the Kahuna we see that it represents ‘Ha’ which means four and also means breath. Egyptian myth indicates this to be the solar plexus. Notice the vesica pisces which appears obvious as the fourth step is developed. The pentagonal DNA strands begin to appear. The fifth step in the Flower of Life appears to imply only half of the experience. It is the area of the Thymus, or the focal point of Heart, Love, and Compassion. Maybe,we are half finished with the 5th chakra initiation. 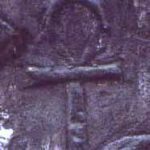 Octave is suggested as Ab-Ib; Ab is the reversal of Ba which symbolizes soul, appearing as the Falcon Horus, who represents the supernatural part of the Trinity. At the sixth step, the relationship to the 2ed chakra is tested. When we have understood Mer, we pass. We are able to communicate with both brain hemispheres and our 3rd Eye opens. Innocence is obtained as the pathway to Seshat is visible. The Seventh step implies completion and suggests the eighth which is actually the same vibration of the first. Like the note C on the piano and its octave, perpetually repeating in the same key. The breakthrough from Incubation begins here by understanding Phi and its relationship to the DNA strands that begin a new healing process. Flower of Life curved lines are feminine, and straight lines are masculine. Because the lines are curved lines, the Flower of Life teaching approaches with the wisdom of the right or feminine brain, promoting the interconnection of both brain hemispheres. While meditating on the Flower of Life, see the three axises. of octa and it’s marriage with the cube. At age seven, I began drawing the Sacred Geometries with my father who studied as a Mason. He was fascinated with the Geometry and it became a father/son thing for us to do, containing wonderful family memories. He said it was the oldest language spoken and held clues to the working of the Universe. From the simple Flower of Life drawing comes the study of the vortex, and the Unified Field. At the time, I had no clue as to what it all meant, but as the years have passed, I have gained an undying respect for his sharing, love, and compassionate devotion to the Ancient Sacred Science. At Abydos, in upper Egypt, about 4,500 years ago, Seti 1st began to build a Temple. As he was digging the foundation of his Temple he discovered an even more Ancient Temple buried in the sand which caused him to pause his building program and redo the blueprints. He turned his Temple to the left in order to avoid disturbing the Ancient Temple of Osiris. It is on this Ancient Temple of Osiris at Abydos that we find the earliest study of vortex forms. 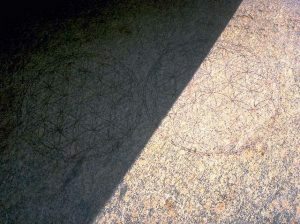 The Flower of Life is carved into the stone in magnificent detail. Some reports date this Ancient Temple at Abydos to around 10,500bc or earlier. The size and shape of the stones seem unimaginable for a tribal culture to construct, but the vortex carvings exist, and are there for all to study. Through the many years of our waking consciousness we have been searching for the meaning of the Language of Light. Scholars of every school have wondered of this parabolic statement. Is there really such a thing as the Language of Light? The answer seems to be yes. There is contained within the structure of Light such a language. In one of the basic structures of physics, called the Tube Torus there is a study of vortex energy that describes Light and Language in its potential. The Tube Torus is derived from the basic study of the Flower of Life. By using a simple compass one can create the Flower of life very easily. There are seven basic steps in the composition of the Seed of Life which, if continued to its conclusion, yields the study of the vortex through the Flower of Life. By ratcheting the Seed of Life one obtains the basic structure of the Tube Torus. The Tube Torus is basic in the study of Vortex forms. This first simple study of a one dimensional form leads to the understanding of multidimensional vortex forms. View of the polar grid derived from the Flower of Life containing the same Golden Mean Spiral. As you contemplate this image, the beginning of the study of Character Math seems to appear. 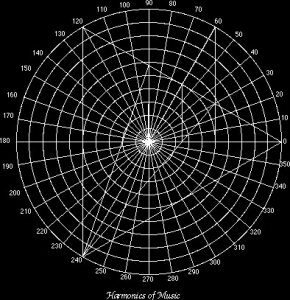 Remember, this is a one dimensional look at the polar grid which is actually 3 dimensional. 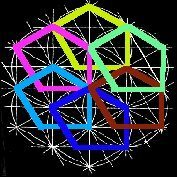 The study of music and how it pertains to the Flower of Life and the polar grid, yields harmonic calculations which describe other proportional properties in Sacred Geometry. Phi Harmonics research continues at San Graal School of Sacred Geometry. 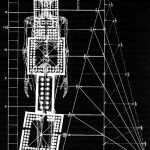 There are links on the front page to other articles and downloadable music files which are pertinent to the study of The Language of Light, according to Phi and the Vibration of our Universe. 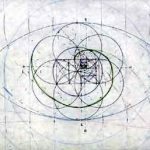 Calculating the polar grid from a different perspective we get the harmonics of music equaling the twelfth root of two, which is the standard for tuning harmonics as we know them. Images courtesy of Drunvalo Melchizedek, and Donald Rose. We thank our sponsors Americas Cardroom for supporting the site. Read more about Americas Cardroom at http://usacasinobonuscode.com/americas-cardroom-bonus-code-promotions/. You can read another review of the Americas Cardroom bonus code offer at http://bonuspromocode.com/americas-card-room-bonus-code/.